Scroll down or click on one of the titles to see information about my books. My Sci-Fi novels are written for adults and my children's books are designed to be read-to-me books for the Pre-school/Pre-K age group. Included are links to sites where they can be purchased in print or in the ebook format that works best with your electronic reader. As Bartles & Jaymes always said, "Thank you for your support." Space Equipment Authority is the number one supplier and manufacturer in the sector and their Maintenance Station 16 is the best of all the repair depots in the system. With its ability to manufacture any part needed for any repair and willingness to service any vehicle, from the smallest Personal Transport to the biggest Trans-Galaxy Ship, it has the reputation of being the best of the best and is favored by both locals and aliens alike. And someone wants Charlie to come work there. Life hasn’t been easy for Charlie, as he has kicked around from one job to another. The one shining light in his life is and has always been his beautiful wife, Susan. So is this the chance of a lifetime, or is it too good to be true? Join Charlie and Susan as they discover A New Home. Charlie and Susan are shocked when the confession is thrown out. Director Sureenon convinces the judge that the alien devices should not be removed from the station, but the judge then orders that the trial be held on SEAMS16. News of the aliens travels fast, bringing an unannounced visit from the S.E.A. Director of Security. With all of these arrivals can Charlie and Susan handle one more? Sam told his mother, “It really doesn't get cold. 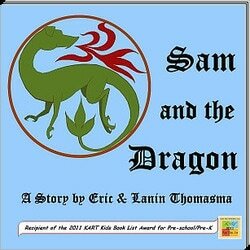 That’s just a myth, like dragons and unicorns.” But he soon learns the truth about winter... and dragons. As an only child, Billy wishes for a bigger family. But spending a day at his great-grandfather’s family reunion shows him that ‘family’ includes far more than just Mommy and Daddy. 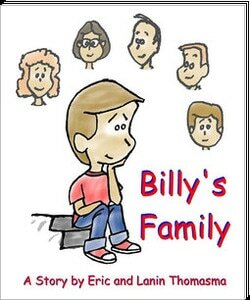 Billy’s Family is an introduction to some of the terms and concepts of family relationships. A collision in space leaves Captain Darien Stolt and his crew searching for a suitable planet on which to land their fatally wounded ship. The passengers, a group of Utopian colonists set on making a new home for themselves on a distant world, lose their founder and leader, Jacob Slowdon, in the crash. A new leader, Susan Stark, steps forward and lays claim to the new world on behalf of the colonists. She tells the captain that his crew, and the handful of aliens rescued from the other ship, must adopt their way of life. But that life wasn’t supposed to include murder. Security Chief Todd Sureenon must do his best to apprehend the murderers. It’s a perilous start for a new civilization. 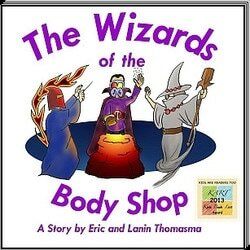 The Wizards of the Body Shop. Do you have a freezer that growls when ice is being made? Brady and Dot do and it's a little scary. 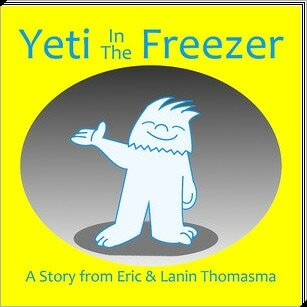 But they're no longer afraid now that they've made friends with the Yeti In The Freezer. 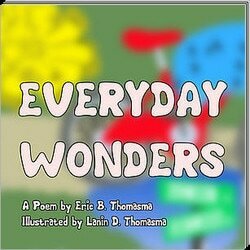 Everyday Wonders is dedicated to everyone who got glasses as a child, or has a child who needs glasses. A youngster getting his first pair of glasses suddenly sees things he's never seen before! This book was designed to help explain what it's like to friends and siblings who don't need corrective lenses. Now Available - Prime is not the only life-supporting planet in the Solenty system. 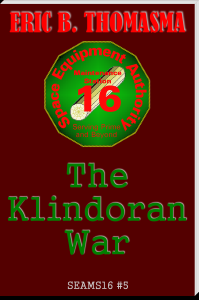 The third planet, Klindor, has a civilization dating back to before the Days of Slowdon, and in those ancient times, a Klindoran astronomer witnessed an event that gave rise to a new religion. The Light Of Jango grew in membership and influence, but when a subsequent event threatened their power, they plunged their society into centuries of war. After the Days of Slowdon, Prime’s newly formed society grew and prospered—for a time. But when the population started receding without explanation, panic set in. No longer trusted by the people, the governing council was ignored and society fell to chaos. It was a time of darkness and violence, but record keeping gave way to survival, so little is known of those days of sorrow. 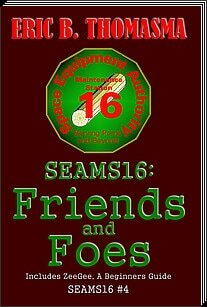 Eventually, alliances formed and a tolerable coexistence was achieved, but it was a stagnant society, full of fear and suspicion. But one faction worked to restore governance as outlined in the Slowdon Scrolls. Progress was slow, but steady until the unthinkable happened—the Klindorans arrived.